Dubai residential property prices and rents are set to fall further as losses of high-paying jobs and dwindling household incomes boost vacancies across the city, according to Phidar Advisory. Prices of single-family homes, known locally as villas, slid 10.2 percent on average in the past 12 months, while apartment values remained unchanged. Villa rents dropped 4.9 percent while apartment leases fell 3.4 percent in the period, Phidar said. Dubai’s economy has been hit by the havoc inflicted by the drop in oil prices. Firms from banks to oil companies and even schools cut jobs to reduce costs amid a decline in business. The layoffs, along with weak job growth and a ballooning supply of properties, are driving a drop in values that followed a post-financial crisis peak in the second quarter of 2014. Owners who had resisted lowering prices or rents while awaiting a rebound in 2017 are starting to accept the reality of an extended downturn. Job losses, disproportionately among high earners, have resulted in vacancies across many of the city’s established developments and households are downsizing, further pressuring the market. 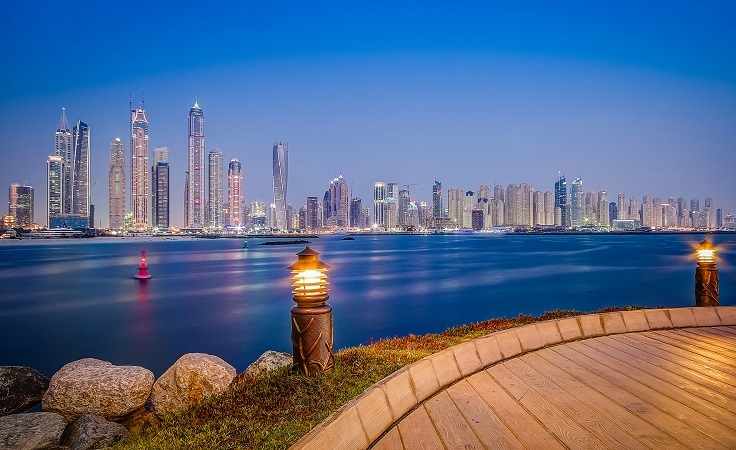 Dubai’s residential market is overvalued by around 15 percent to 20 percent but it “may or may not correct to this value, depending on power of sentiment and exogenous factors,’’ Downs wrote. The diversion of apartment prices and rents is eroding yields and indicating further corrections are on the horizon, Downs wrote. The current vacancy rate stands at around 35 percent in preferred communities sampled while builders continue to add to the city’s supply, Downs said. Advance sales are holding steady as developers offer buyers the chance to pay 40 percent to 60 percent of a property’s value after its completion. Some also are waiving the 4 percent transfer fee as a further incentive. Downs said that may harm the market. “Subsidies in the form of post-handover payment plans, which equates to shadow financing will likely lead to overbuilding,” he wrote.